A 360° Ski and Snowboard Film. Ride through the clouds, enjoy the view and tour the uncrowded slopes of the Monashee Mountains in B.C. Canada. 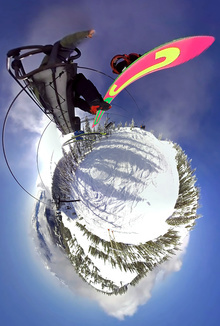 A short 360° Ski and Snowboard film experience. Ride through the clouds, enjoy the view and tour the uncrowded slopes of the Monashee Mountains in B.C. Canada.